Norman Rowe, MD (New York) - Book Appointment Online! Dr. Norman M. Rowe is committed to giving his patients the best care possible. He and his staff do this by providing each person the individual attention that they need to help them make an informed decision. Dr. Rowe uses his many years of training and experience to this end. 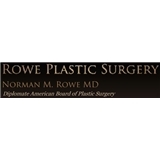 Dr. Rowe is a fully trained plastic surgeon. During this time Dr. Rowe studied cosmetic surgery and the various techniques for the surgeries. He trained an additional year in microsurgery and breast reconstruction in order to pursue his passion in breast surgery. Dr. Rowe continues to write and lecture to his peers in the various areas of cosmetic surgery. Dr. Rowe uses this knowledge to determine which method will work best for each patient in order to obtain the best result possible. Dr. Rowe’s talented staff are attentive to their patients every need and provide pre and post procedure care with a gentle touch. 1st visit and had an excellent experience with everyone, from the fron office to the assistant. Doctor was very nice, explained the procedure very detailed. Great experience over all.